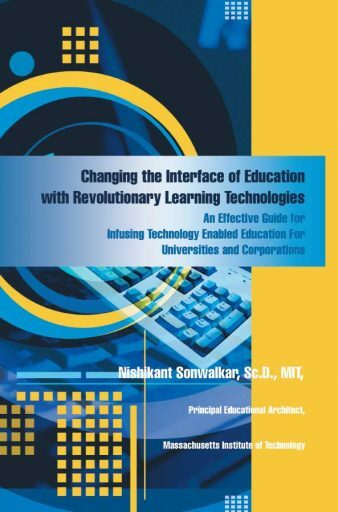 The pedagogy for technology enabled education over last few decades have been influenced by behaviorist, cognitive, and constructivist theories. These theories are debated vigorously by the educational scientists. While the debate is extremely important for the paradigm shift, the need for a framework for instructional designers seeking meaningful incorporation of technology is necessary. With the infusion of new technological methods to deliver education on-line there is an acute need for reinvention of the pedagogical framework. This CD-ROM is designed to accompany James Fay’s “Introduction to Fluid Mechanics”. An enhanced hypermedia version of the textbook, it offers a number of ways to explore the fluid mechanics domain. These include a complete hypertext version of the original book, physical-experiment video clips, excerpts from external references, audio annotations, coloured graphics, review questions, and progressive hints for solving problems. Throughout, the authors provide guidance in navigating the typed links so that students do not get lost in the learning process. 2003-10-20 , Sonwalkar, N., “Advanced Wireless Education Systems (AWES): An Application for Just-in-Time Biosecurity,” Poster paper presented at Biosecurity 2003 Conference, October 20-22, Washington DC, with Briggs, S., Dandage, R., and Sharma, M.
2003-07 , Sonwalkar, N., “Enhanced Interactive Teaching with Wireless Devices; The Next Generation Wireless Classroom,” Syllabus, Summer conferences proceeding, with Dandage, R.
2000 , Sonwalkar, N., “A Comparison of Web-based and Laboratory Learning Environments,” Proceedings of the American Society of Engineering Education Annual Conference, with Burrell, B., Wiggins, R.J.N., Kutney, M.C., Dalzell, W. and Colton, C.K. 1999-02 , Sonwalkar, N., “Formative Evaluation of Chemical Hygiene Course,” HTF Report, 1999-2, with Wiggins, R.J.N. 1994-06 , Sonwalkar, N., “Hypermedia Engineering Curricula: Pedagogical Desirability and Technical Viability Demonstration,” Proceedings of ASME Fluids Engineering Division Summer meeting 94, Lake Tahoe NV, June 19-23, with Patera, A. 1993-11 , Sonwalkar, N., “Hypermedia for Engineering Education,” Proceedings of Hypertext 93, November 14-18, Seattle, Washington, MIT, with Patera, A. T., Dynes, S., Wilson, D., Blanco, E., Rutledge, G., and Vander Sande, J. B. 2010-03 , Sonwalkar, N., “Designing for Quality and Measuring Quality in Online Learning,” USDLA Research Report prepared for Bill and Melinda Gates Foundation, with Flores, J.G. and Gardner, M.